This is your once in a lifetime chance to own your own peninsula! 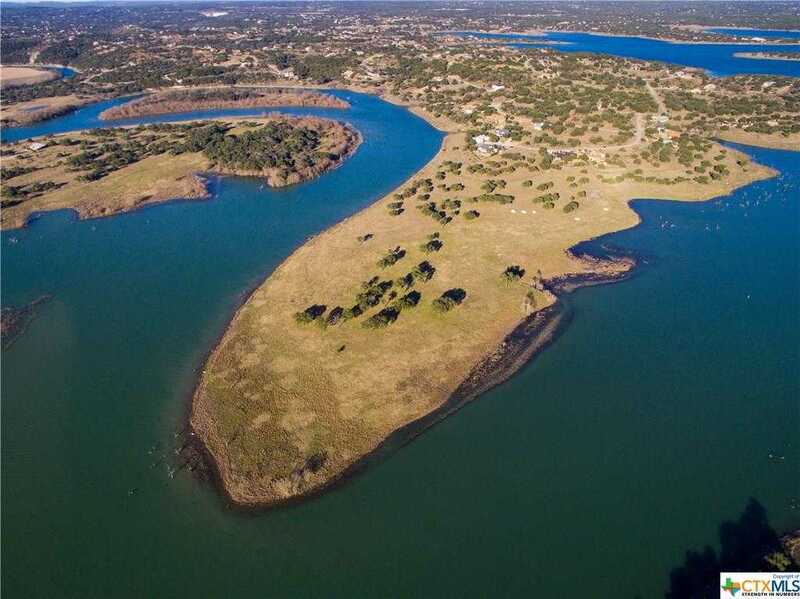 Build the luxury home of your dreams where the Guadalupe River meets Canyon Lake. Panoramic view of the water to the left, right, and center! Enjoy breathtaking skies, abundant wildlife, and serene waters. The entire lot slopes very gently to the waterfront and is usable. Build at the top acreage and use the rest of the land for your recreation! You can even add sports courts, a three-hole golf course, and anything else that the Army Corps of Engineers approves. If enjoying your very own nature preserve isn't enough, the HOA provides a nature park, swimming pool, sports courts, BBQ, clubhouse, and more. Make sure to bring your camera when you come to visit, and wear your walking shoes! This 11.63 acres can be combined with the neighboring 13 ac lot, 763 Pacific Place, for a total of $1,795,000. This is your once in a lifetime chance to own your own peninsula! Build the luxury home of your dreams where the Guadalupe River meets Canyon Lake. Panoramic view of the water to the left, right, and center! Enjoy breathtaking skies, abundant wildlife, and serene waters. The entire lot slopes very gently to the waterfront and is usable. Build at the top acreage and use the rest of the land for your recreation! You can even add sports courts, a three-hole golf course, and anything else that the Army Corps of Engineers approves. If enjoying your very own nature preserve isn’t enough, the HOA provides a nature park, swimming pool, sports courts, BBQ, clubhouse, and more. Make sure to bring your camera when you come to visit, and wear your walking shoes! This 11.63 acres can be combined with the neighboring 13 ac lot, 763 Pacific Place, for a total of $1,795,000. Please, send me more information on this property: MLS# 366477 – $895,000 – 757 Pacific Place, Spring Branch, TX 78070. I would like to schedule a showing appointment for this property: MLS# 366477 – $895,000 – 757 Pacific Place, Spring Branch, TX 78070.